Please support our festival sponsors. We couldn’t do this without them! NDCU was our first sponsor. They believed in our vision and offered to pay for the Legion rental. The Hume’s been feeding hungry bands for over a century. 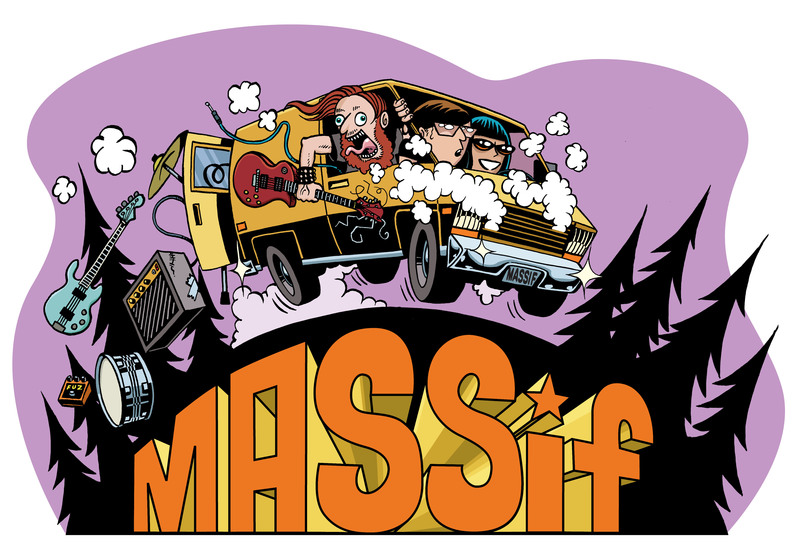 As Massif Backer, they’ll continue to do so this weekend. El Taco literally has the corner on belly-warming Mexican food. Real food for real people! That’s us! And they’re only a block away from the Legion. Nelson Potorium speaks to a beloved tradition in Nelson. We’re incredibly grateful they’re backing us. And finally, Hall Printing and Big Cranium Design have each been supporting events in Nelson for a generation. Hall Printing printed all the awesome posters and booklets for the festival, and Big Cranium gave our volunteers the shirt on their backs. Much love to all our festival backers… Now let’s party! ← MASSiF thanks our Supporters!